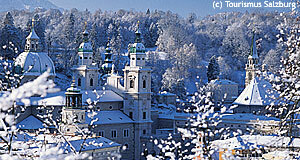 The following list is a directory of the main attractions in Salzburg. Where available, links lead to the main article for any individual attraction. Note that this list was assembled in 2009 - whilst the addresses will remain pretty stable (especially with the classic Salzburg attractions, like the castle), phone numbers can change. If you find out about such a change, we would welcome a notification! Links will take you to the appropriate article here on Visit-Salzburg.net as far as available.